Are you looking to upgrade your family vehicle to something that's more realistic and can assist you with your busy life? 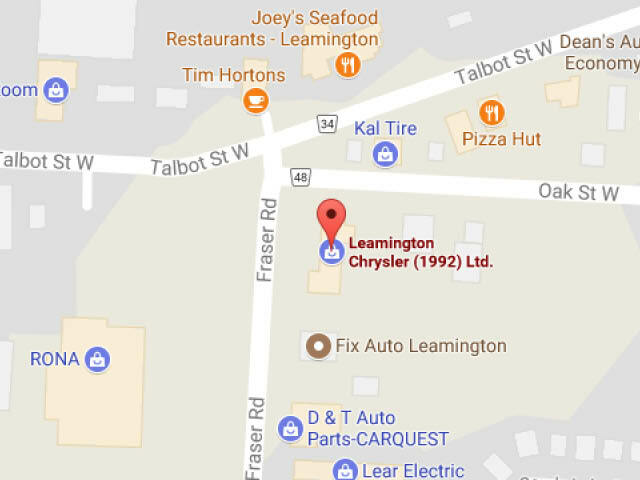 Well look no further, as Leamington Chrysler has your answer! Located near Kingsville, Ontario Leamington Chrysler has one of the largest selections of Dodge Grand Caravans to choose from this winter. The Grand Caravan is a great option for more reasons than one. Not only is the Grand Caravan Canada's bestselling minivan for 33 years running, it has many features which keeps it ahead of its class. Features such as: Stow and Go Seating, Canada's bestselling Pentastar 3.6L V-6 Engine, 4-wheel Antilock Disk Brakes (ABS), Electronic Stability Control (ESC) and many more. This is one of Dodge's all-time top selling vehicles and it shows with top notch designs and smart engineering. You feel the comfort and safety while behind the wheel of the Grand Caravan and its stylish, sporty exterior sets it aside from just any plain old minivan. 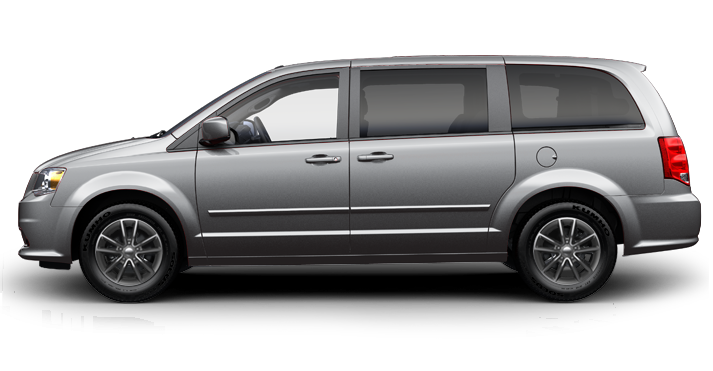 Our sales associates don't have a difficult time when selling the Grand Caravan as the minivan practically sells itself. Come in today and check out one of the largest selections of Dodge Grand Caravans near Kingsville, Ontario. Our staff has no problem answering your questions or concerns and we'd be more than happy to take you out for a test drive today. The latest addition to the Grand Caravan family continues its bestselling trend with Canada's bestselling engine the 3.6L Pentastar™ VVT V6. This is a 6-speed transmission with great fuel economy for a larger vehicle, running at 9.4L/100 KM at highway speed and 13.7L/100 KM in city traffic. It has a max horsepower of 283, along with 260lb-ft of torque. The designers of the Grand Caravan take pride in its safety functions knowing it's one of Canada's bestselling family vehicles. The latest Grand Caravan comes standard with 7 air bags, Active Front Head Restraints, 4-wheel Antilock Disc Brakes (ABS), Electronic Stability Control with Brake Assist, and All-Speed Traction Control. Available additional safety features include: Blind-spot Monitoring System, Rear Cross Path Detection, and Parkview Rear Backup Camera. One of the greatest features of owning a minivan is: space. The latest Grand Caravan doesn't fall short of this expectation with Stow and Go 60/40 split folding seats, dual glove boxes, lower instrument panel cubby bin, and overhead console. These features make storing a breeze, making plenty more room for long road trips or sports games. Plenty of hard work is put forth from countless individuals to make the Grand Caravan Canada's best-selling minivan year after year. This hard work has been recognized in the latest model of Grand Caravan by winning Ward's Best 10 Engines. This award has been received by Dodge three times for their 3.6L Pentastar™ VVT V6 engine. At Leamington Chrysler, we're the small-town dealership that is committed to providing a family-like friendly atmosphere and a personalized purchase experience to everyone who comes through our doors. We pride ourselves on great service and great selection for quality new and used vehicles by Chrysler, Dodge, Jeep and Ram. We are confident that our friendly sales team can help you find the new or used vehicle that's perfect for you and your budget. Our inventory of used vehicles is ever-changing, so you can find exactly what you're looking for and save money too. Choose us, and you'll discover the best way to get behind the wheel of your dream vehicle. Visit us at 170 Oak Street W, Leamington, ON or call 519-326-9052 for a personalized purchase experience.